The End Of The Road For Drew Brees In New Orleans? Drew Brees was thought of as damaged goods was at one point in time. Having his best season to date for San Diego in 2005, Brees tore his labrum in his throwing shoulder the last game of the season. With then backup Phillip Rivers already in place, this injury made the decision for the Chargers, as they decided to let Brees test free agency. 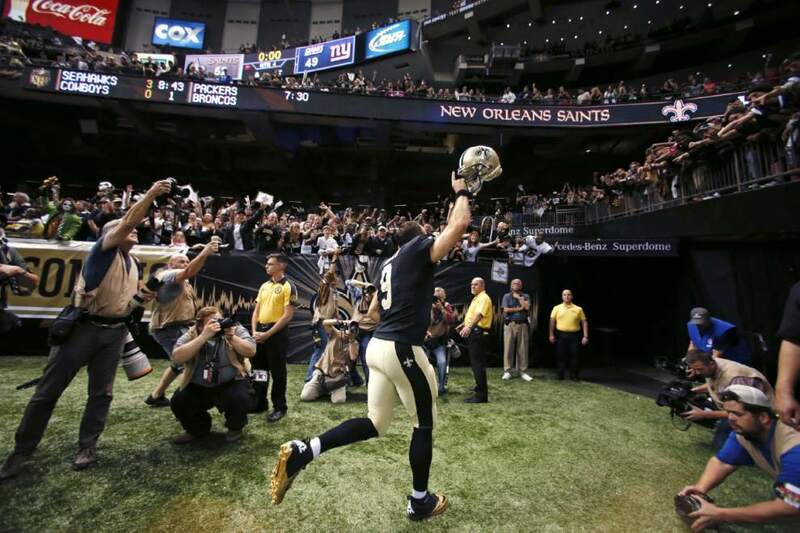 And from there, Brees was left in limbo. Would teams hold his shoulder injury over him or would someone give him a chance. The lowly New Orleans Saints, who had been struggling to get some consistent quarterback play, were willing to take a chance on Brees and his surgically-repaired shoulder and signed him to a six-year, $60 million contract. And from there, the pairing of Brees and Saints coach Sean Payton became great. The Saints became a prolific offense and even won the Super Bowl in the 2009 season. But eventually good things have to come to an end. The Saints have been struggling over the last few years and they are also in salary cap purgatory. The one person that is eating up most of that cap going into next season is quarterback Drew Brees. Of course he is the face of the franchise, but at one point does that cap number become too much? Next season, Brees will count for a cap hit of at least $30 million. No team can rebuild and field a good team with that massive a hit by one player in this era. So with Brees aging and the team breaking down around him, is it realistic that he could be playing somewhere else next season? The possibility of him taking an extension to spread that money out over some years is there, but there have been no indications either way. So the possibility of the greatest quarterback in Saints history playing in another uniform next year is real this offseason. If the Saints want to move forward, they unfortunately have to make a tough decision about Brees. This past offseason, they had to get rid of All-Pro tight end Jimmy Graham because the cap was so bad. The cap issue is not going away unless they do something right now. And Brees unfortunately is going to be the casualty this time if he does not come to some kind of agreement with the Saints on an extension. If Brees is indeed on the market, then there will be a few teams that will look to add his services. One team that could be an interesting addition for him would be the New York Jets. They got solid play from Ryan Fitzpatrick this past season. But honestly, there is not many that even expected him to play as well as he did. Needless to say, there is not many that will expect him to play the same way he did next season, should he be in New York. With Brees in that offense, the quarterback play goes to another level for the Jets. Brandon Marshall and Eric Decker become even scarier as a tandem with Brees, but he will also help that third or fourth wide receiver become a weapon as well. And the pressure the Jets’ defense feels each game would be less because they could depend on the offense, led by the veteran signal-caller. Of course the Jets would have to make some sacrifices in regards to some players on their team now, but it would be worth it for them to do so just to have a shot at a Super Bowl. But the Jets are not the only team that could use a guy like Brees. A team that has a ton of cap space that could add him would be the San Francisco 49ers. One possible scenario for the 49ers would be getting Sean Payton as their new head coach and using the multitude of picks they have to trade for Brees as well. His insertion to that team does not make them a Super Bowl contender, but it does make them a team that can contend for a playoff spot potentially. Also, his insertion to that team does not cripple their cap space, as they will still have money to pay other players to come there to play. And another thing he could add to the 49ers is someone who could potentially tutor a young quarterback if they are to add one in the 2016 NFL Draft. The Saints are on the clock and a decision has to be made in terms of Brees. And from the outside looking in, it may be the end of Brees in New Orleans. The ride the Saints and the veteran quarterback have had together has been very successful. But with Payton potentially on his way out and the team in salary cap trouble, it may be time for the Drew Brees era to end in New Orleans. And when that officially happens, you better expect many contenders to be lined up and ready to acquire his services. The New York Giants had been looking for their last glimpse of success when they hired Tom Coughlin 12 years ago. They drafted a young quarterback out of the University Of Mississippi, Eli Manning, and entrusted Coughlin with molding a team around him eventually. The Giants would win two Super Bowls with the combination of Eli Manning at quarterback and Coughlin coaching. But like all good things, they have to come to an end. 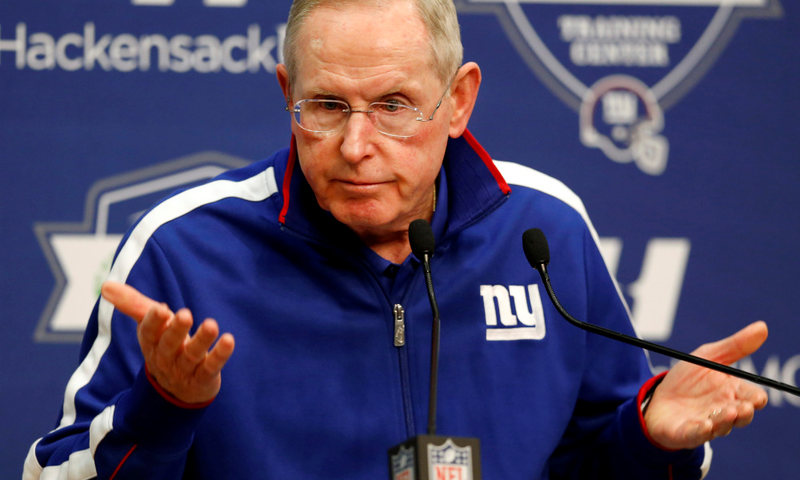 The Giants were 6-10 this season and there were many calls for Coughlin’s job. And unlike in year’s past, there were many within the organization that agreed with the move. After the last game, the feeling was that Coughlin was done as the coach there. The Giants lost the game to the Eagles, 35-30, and the anticipation amped up. Was Coughlin going to step down or were the Giants going to have to fire him? Well, today we got the answer as Coughlin decided to step down instead of being fired by the team. And now there is another opening available in the NFL. But who are the candidates to get that position? One of the first candidates many thought of was Sean Payton. The current New Orleans Saints’ head coach is in an uncertain situation right now. There have been rumors floating that he is ready to leave and with the horrible salary cap situation there, who can blame him? The Giants would be a perfect situation for him offensively. He would have a quarterback in Eli Manning that still has two to three years of solid play left in him. And he would also be coaching one of the most electrifying players in the NFL, wide receiver Odell Beckham Jr. The good thing about him coming there would be he could keep Eli playing at a solid level and hopefully be able to limit some of the mistakes that he has made. Another thing that would make him a good fit with this team offensively would be the rotational back situation that they have fits perfectly with what he has been doing for years in New Orleans. One thing that he would have to do in New York is acquire someone to run their defense. Along with needing more players and having good health for a change, the Giants need someone that fits with what he wants out of his defense. Steve Spagnolo was the defensive coordinator for the Giants this year and he definitely is not the guy there for Payton. He was once the defensive coordinator for Payton in New Orleans in 2012. He was promptly let go after the mesh of these two did not work out. But for the most part, Payton would fit there because of the offensive pieces that are there. And another thing that is good about Payton is he has been in New York before (was Giants offensive coordinator from 2000-2002). If the Giants decide they don’t want Payton or decide to go in a different direction, another candidate would be their current offensive coordinator, Ben McAdoo. He has been the mastermind behind helping make Eli a more efficient passer. And before he was in New York, he was the quarterbacks coach in Green Bay for Aaron Rodgers. To say he has lived the charmed life the last few years is an understatement. With McAdoo taking over, there would be continuity for the offense, which would help Eli in the later years of his career. The pieces that are there would continue to grow and mature and that would do nothing but make that offense run better. But there are some things that McAdoo would have to get used to. The first thing is that he would be an NFL head coach for the first time in his career. Would that be something that he is ready for and is the Big Apple the place for that? It would be interesting to see if he is ready for that type of spotlight. And also he, like Payton, would have to solve the defensive issues that plagued this team the entire season. It would be interesting to see how he handles those type of situations. Would he stick with Spagnolo and give him another chance to get it right with the defense? Or would he go with someone he knows that may come from the Packers as well like he did? No one knows the answers to those questions, but it would be quite the reaction should McAdoo become the new head coach. Last but not least, Panthers defensive coordinator Sean McDermott has been getting it done in Charlotte since 2011. For the last few years, his defenses have routinely been in the top rankings in the NFL. With the Giants struggling defensively, McDermott would bring a defensive mind that is needed there. The Giants could not hold on to leads time and time again and could not create any pressure at all. And although he will not have the same caliber players he has in Carolina, there is no doubt that he is bright enough to figure out what works with the pieces he has. But along with him being hired there, the biggest question would be who does he hire as the offensive coordinator? One guy he probably would think about bringing with him to New York to be his offensive coordinator would be current Panthers quarterback coach Ken Dorsey. But other than that, it would be interesting to see if he even considers keeping Ben McAdoo as his offensive coordinator there. With whoever he hires, he has to make sure that he does so with the franchise quarterback and his star wide receiver in mind. The offense will be fine, it’s just the defense that needs to make it happen next season for the Giants. If that happens, then they could be right back in competition for the NFC East crown. These three will probably be receiving calls from the Giants about this position. And it should be interesting to see what decision they make going forward and what direction they decide to go in. But the Tom Coughlin era is over and the new one is ready to begin.